According to the National Association of Realtors, low interest rates drove condominium sales to record heights during the first three quarters of 2003. Combined with an increase in condo sales of more than 30 percent between 1990 and 2000, NAR President Cathy Whatley believes these figures indicate that the strong condo sales trend will continue. While this is a national trend, nowhere is it more evident that along the North Carolina and South Carolina coastline. People from all over the United States are discovering the temperate climate, relaxed lifestyle, and affordable cost of living found at Carolina-s beaches. In fact, some experts predict that the Southeastern coastal population will continue to rise dramatically, doubling or tripling in some areas. One result of the recent increase in condo ownership is that the price of condos is rising at twice the rate of single family homes. According to the NAR, nationally, 861,000 existing condo units were sold in the second quarter of 2003, with a median price of $162,500, an increase of 15.1 percent over the same time period in 2002. By comparison, the median price of an existing single family home was $168,900, up 7.4 percent from a year earlier. Whatley said, "While some of the rise results from a higher number of luxury units in the sale mix, demand alone is accounting for much of the increase." These numbers show that condos are a good investment, especially luxury condos in choice areas. 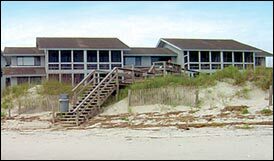 "Condos are a great source of stability in the normally volatile financial market," said Win Walker, broker with Isle of Palms Real Estate. While low interest rates have fueled demand among traditional condo buyers - first-time homeowners and empty nesters - they have also increased the market for second homes, vacation homes and as an investment resource. "A condo is a fantastic rental investment property on any of our South Brunswick Beaches and demand is far greater than supply." said Donna Wilson, senior sales executive with Coldwell Banker Sloane Realty in Ocean Isle Beach. One of the main reasons condominium sales have always been strong is the advantage of a care-free standard of living. Life today is so full that many people are asking themselves what is more important, a large lawn that must be maintained or a full- service gym only steps from their home. "A hassle-free lifestyle is still the number 1 answer to the why question of condos," Paul Emrath, housing policy economist for the National Association of Home Builders, commented. For condo owners, lawn maintenance, exterior building maintenance and, in most cases, water, sewer, trash service, pest control and exterior property insurance are included in their affordable monthly regime fee. "Many vacationers find a vacation condo is much easier than a vacation single-family home," said E. Stone Miller, broker-in-charge of Litchfield Real Estate. An increasing number of builders are constructing luxury condo communities based on consumer demand. Affluent baby boomers, the 77 million strong born between 1946 and 1964, will soon be coming of age - the retirement age. And while the majority of these boomers are still in their peak earning years and have the disposable income available to determine the direction of the market by purchasing second or vacation homes, they are looking to the future when they will be leaving the workplace, shifting gears and devoting themselves to what gives them the most pleasure. In fact, many developers today are gearing community amenities to the specific demographic buyer they hope to target. Universally, condominium communities generally include amenities found in most upscale single-family neighborhoods. Profession-ally decorated clubhouses host scheduled events and pools, tennis courts and fitness centers cater to today-s active lifestyles. On the coast, many complexes include boat ramps, fishing piers, crabbing docks and, in some cases, full-service marinas. More and more, homeowners are demanding 24-hour concierge and business support services, carwash bays and on-site guest suites that can be reserved for visiting family and friends. Condominium owners also expect aesthetically pleasing curb appeal in meticulously maintained and enhanced landscaping, water features such as fountains and man-made ponds and decorative exterior elevations, all of which add to the overall enrichment of the community. As the demographics of the average American homeowner continue to change and as condominium developments improve in quality and design, their popularity will continue to increase, causing an even tighter supply of available units and even higher sales prices. Figures obtained from the local Association of Realtors indicates that coastal condominium sales for the year 2003 are going to outperform 2002 sales in both units sold and total dollars spent. At present Charleston County-s most expensive condominium is on the market for $2,975,000. Brunswick County-s highest price condo listing is $850,000. 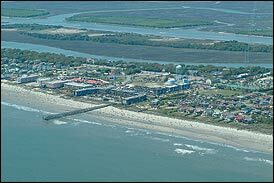 The above figures were compiled by Win Walker of Isle of Palms Real Estate, Isle of Palms, SC, and Donna Wilson of Coldwell Banker/Sloane Realty, Ocean Isle Beach, NC.